Annapurna, which is the 10th highest mountain in the world. Annapurna is a series of peaks in the Himalaya, a 55-km-long Massif whose highest point, Annapurna I, stands at 8,091 m (26,538 ft). 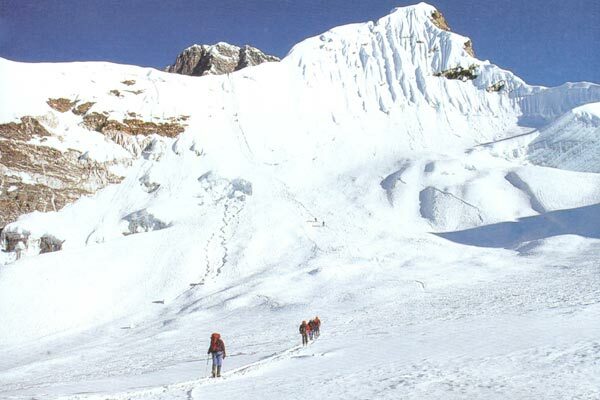 It is located east of a great gorge cut through the Himalaya by the most famous river, Kali Gandaki and which separates it from the Mount Dhaulagiri.Annapurna Base Camp is one of the most famous trekking areas inNepal. It starts either from Phedi or from Nayapulafterreaching Pokhara. 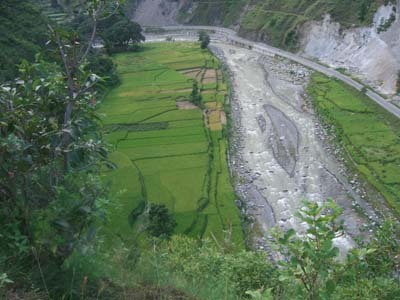 There are rarely a few places in the world with such a splendid variety of natural beauty as that of Annapurna Region. 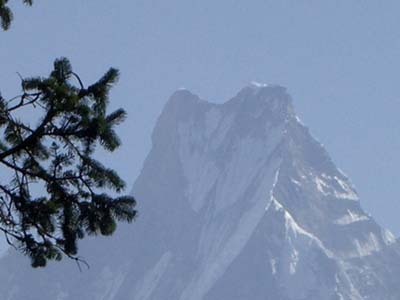 It is a rare combination of long arrays of snow capped mountains, crystal clear lakes, turbulent rivers with deep gorges, Buddhist monasteries, home of famous Gorkha soldiers and other friendly ethnic groups, as well as hot springs and beautiful villages in this area.Annapurna Base camp Trekking is a good way of experiencing high mountains, glaciers, forests, Jungles at close hand in a short period. Day 01: Arrive in Kathmandu and drive to hotel. Day 03: Drive to Pokhara 200 km. 6 Hrs. Day 07: Trek to Chhomrong (1920m). 5 Hrs. Day 10: Trek to ABC (4130m and trek back to Deurali (3200m).6Hrs. Day 14: Drive to Kathmandu 200 km. 6 hrs. 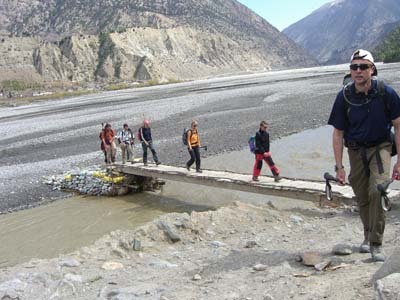 Departure date and itinerary arrangements can be tailored to your requirement, Tour cost will be Up down as per your service requirement, so please contact us for your queries regarding your Annapurna Base camp Trekking Departure Date, Tour cost, itinerary, Service requirement and other any queries regarding your holiday in Nepal, Tibet, India and Bhutan. Our (ATH) representatives will be coming to receive you at theTribhuvan International Airport, Kathmandu and you will be transferred to the hotel for staying overnight. You will be warmly greeted at the hotel. Then you will be provided additional information about the further trip and we will collect your needed documents for our official purposes. After short preliminary meeting, either stay and take rest at the hotel or hang around in the city at the evening to explore the local areas. It depends upon your interests and conditions. Enjoy the delicious Nepali dinner before nap. Day 07: Trek to Chhomrong (1920). Day 08: Trek to Dovan (2,505m). Day 10: Trek to ABC (4130m). Again, after mesmerizing the view of peaceful Himalayas and crossing the beautiful villages, streams and forests, trek back to Chhomrong which takes nearly 7 hours by walking. Take your heavy rest in this beautiful village. Another beautiful village to be appreciated is Ghandrung having its own natural beauty. It is one of the beautiful tourism areas to be visited. 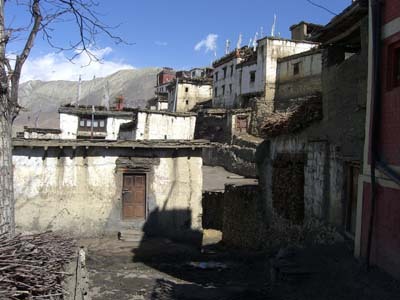 Most of the people inhabited in Ghandrung are Gurung people who are providing fooding and lodging facilities to its visitors. They have their own typical Nepali culture to welcome their guests. You have to walk about 5 hours to reach this amazing village from Chhomrong.